The Buffalo Bills are reportedly going to get a closer look at a draft prospect with a checkered past. 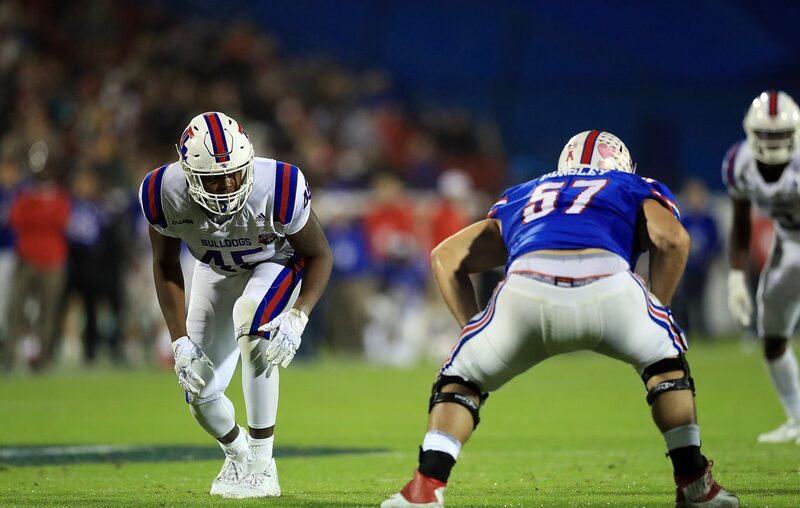 According to NFL Network's Mike Garafolo, the team will host Louisiana Tech defensive end Jaylon Ferguson on a pre-draft visit. Busy week for #LaTech DE Jaylon Ferguson. Had a workout with the #Saints then headed to the #Ravens for a visit. Has visits coming up with the #Buccaneers, #Bengals, Raiders and #Bills. Ferguson, 6 feet, 5 inches and 271 pounds, had his invitation to the NFL scouting combine rescinded after a background check revealed he was convicted of simple battery following his freshman year of college (reportedly for a fight at a McDonald's). The NFL has a policy that bans players from the combine if they are convicted of a felony or misdemeanor involving violence. The league later allowed Ferguson to attend the combine for medical tests and team interviews, but no drills. At Louisiana Tech’s pro day, Ferguson was timed as fast as 4.75 seconds in the 40-yard dash, had a 32-inch vertical leap, a 9-9 broad jump and did 24 reps on the bench press. Ferguson finished his college career with 45 sacks – setting an NCAA record (sacks did not become an official stat until the 2000 season). In NFL.com draft analyst Chad Reuter's latest mock draft, he has the Bills taking Ferguson with their second-round draft pick, No. 40 overall. It's possible he might not be there at that point, though, with several other projections having Ferguson being chosen in the first round. Both Jerry Hughes and Shaq Lawson are scheduled to become unrestricted free agents after the 2019 season, so edge rusher is considered one of the Bills' top draft priorities.